The human cardiovascular system relies on continuous circulation to ensure it functions to meet the needs of the body. Like a fish must remain in water, body organs and tissues require a constant supply of blood. A loss of blood flow, dependent on severity and duration, can result in a loss of oxygen, build-up of waste products and tissue damage. 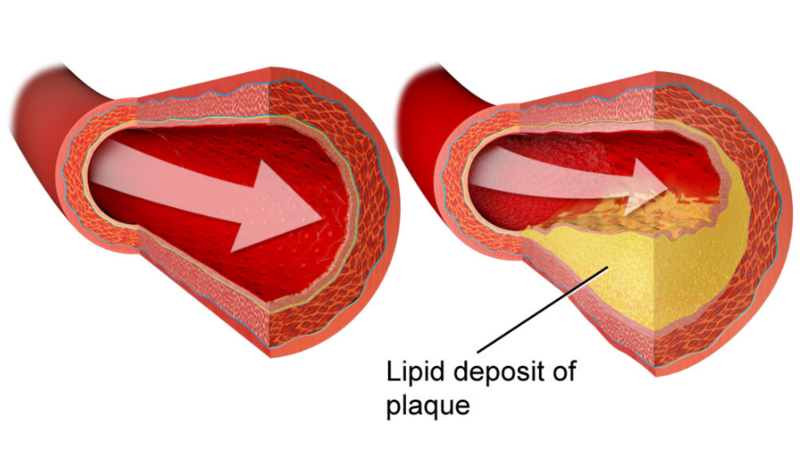 Atherosclerosis is the most common cause of reduced blood flow, which is characterised by a build-up of fat within the blood vessel known as a plaque. As the plaque increases in size the vessels become narrower and stiffer, causing a reduction in blood flow, which can cause angina or peripheral artery disease. At an advanced stage, the plaque can rupture causing blood clots to form and occlude vessels. In the heart, this can cause a heart attack or in the brain, can cause a stroke. We often think of the body’s immune system as our frontline of defence against the outside world; however, the cells of the immune system also fulfil housekeeping roles inside the body such as removing dead cells and waste. In the past, researchers thought that atherosclerotic plaques were a passive collection of fat from the bloodstream that increased over time. Researchers now understand that atherosclerosis is actually an inflammatory disease where immune cells are centrally involved in disease progression. During atherosclerosis, the blood vessel is “activated” and produces markers that recruit a diverse population of immune cells. The immune cells produce their own markers that interact with the activated cells in the vessel and with fat molecules to drive plaque development. The markers present on the immune cells in the atherosclerotic plaque are interesting to researchers for two reasons. Firstly, they are present in a unique pattern that allows identification of the type of cell it is. Secondly, they mark a location where a drug or treatment can act to potentially slow, stop or prevent atherosclerosis by acting to stop the function of the cell to which it is attached. The ability to study these markers, therefore, would allow researchers to identify unique cells so that they can target them for the development of new therapies. Scientists can identify cell markers by tagging them with a molecular sensor such as fluorescent light or dye. Techniques that use this technology are currently the go-to method for identifying immune cells. Unfortunately, these methods are limited in that they can only tag up to a maximum of 18 markers at a time. This means that researchers cannot study the full diversity of the immune cell population. Recently, researchers have introduced the use of Cytometry by Time of Flight (CyTOF) which uses heavy metals to tag cells. Crucially, the new technique allows for the tagging of 45 cell markers simultaneously. The technique has now been used by researchers to study the immune cells in atherosclerotic vessels in a pre-clinical model. Researchers showed that vessels from mice with atherosclerosis contained the same type of immune cells as non-atherosclerotic vessels but expressed them in different proportions. It would not have been possible for researchers to measure the different levels of these immune cells using the previously existing methods. Now that this new technique has been optimised, the next step is to use human samples to identify what immune cells could be targeted for new therapies in atherosclerosis. Feature Image Credit: “Blood cells” by quimono. CC0 Public Domain via Pixabay. 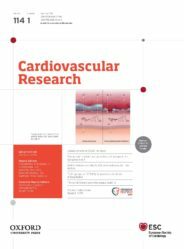 Sarah Katelyn Brown is the Assistant Editor of the Cardiovascular Research journal based in Glasgow, which is led by Professor Tomasz Guzik (@CVR_TomaszGuzik). Sarah has degrees in both Pharmacology (BSc) and Cardiovascular Sciences (MSc (Med Sci)). Heather Yvonne Small is the Senior Managing Editor of Cardiovascular Research.